Our capons are humanely raised in free-range conditions with full access to open fields, and allowed to grow at a natural rate, with no growth stimulants ever used. The specialized farms that raise our capons focus on the best animal welfare practices and geld the roosters with traditional surgical methods at a young age. 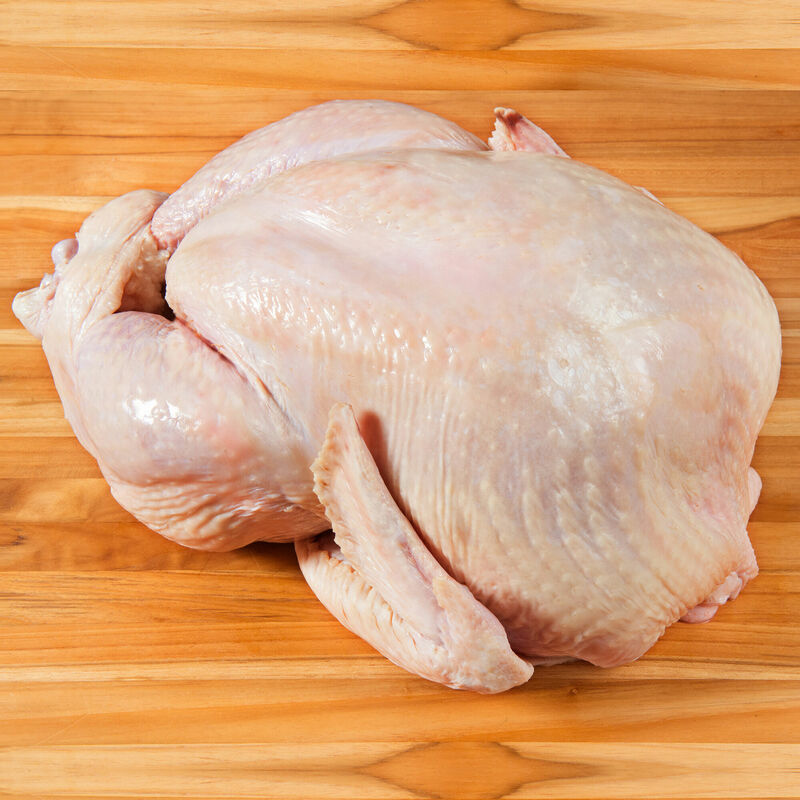 Bigger than a hen, with a broad breast, the capon makes the perfect special occasion bird. 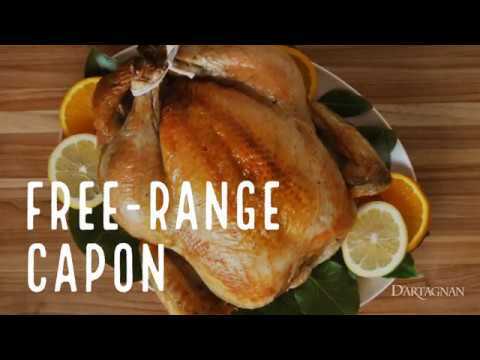 It's quite common to find roasted capon at the Christmas table in both France and Italy. *Servings based on 1.25 pounds per person. To bring you Old World quality and tradition, we work with a group of small farms in South Dakota to provide us with our capons. Offering a complete farm-to-table audit trail, these farmers focus on best animal welfare practices. Humanely-raised in free-range conditions with full access to open fields, our capons are allowed to grow at a natural rate, with no growth stimulants ever used. A capon is a male chicken that is gelded (that is, castrated) at a young age, and allowed to grow until it reaches between 6 and 12 pounds. Our farmers use traditional surgical methods, rather than the chemical caponization more common in modern farming. The nutritionist-developed corn and grain diet is free of protein supplements, and added poultry or fish by-products; it includes constant access to fresh spring water.